You've got one truly unique kid on your hands—constantly helping around the house, tutoring younger siblings, cleaning up trash in the neighborhood, and offering to stay after class to help their teacher tidy up. So naturally, as Halloween approaches, there is only one look that will work for your little do-gooder! What? You thought we were going to say an angel costume? No way! Halloween isn't for being yourself, it's for walking in someone else's shoes for a night. Truly dressing up means exploring another realm than your day-to-day life. That's why this Evil Skull Demon Kid's Costume is perfect for your little prince or princess. Nothing could be further from the truth! Your child? A demon? You won't believe it when they waltz out the door after breakfast in this ghoulish getup. But we are confident that even the power of this insanely cool costume won't be enough to permanently impact your sweet kid—it'll just be fun for them to try out being scary for a day! Our costume studio kind of outdid themselves with this outfit. We asked for scary—truly terrifying—and we have to say, this exclusive look totally delivers! This is one bone-chilling costume! 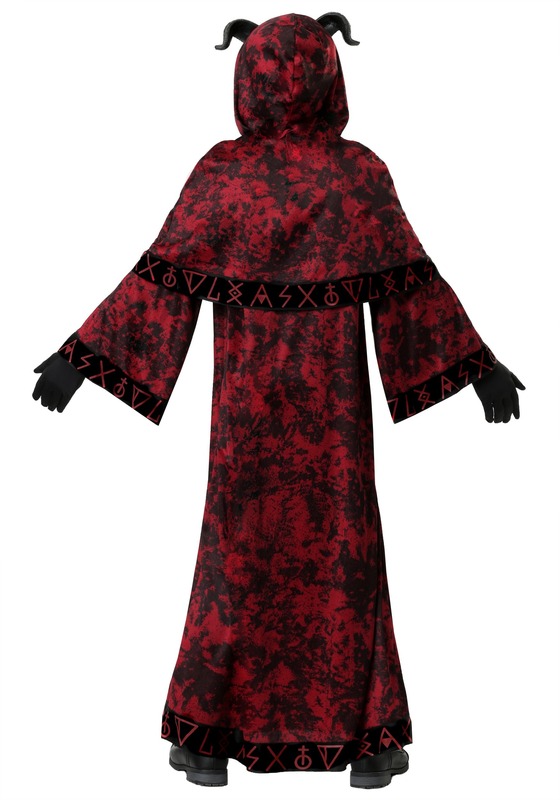 The robe is a pattern of blood-red and night-black, with printed rune-like symbols along the hemline and included belt. Bell sleeves add to the drama, especially when paired over black gloves (not included, but highly recommended). 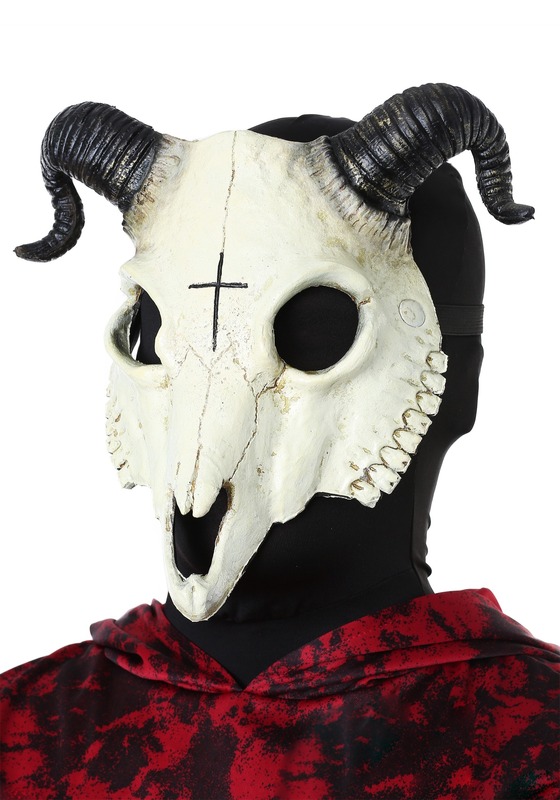 The robe's hood fits atop the goat-skull mask, completely concealing your child's face and replacing it with something utterly frightening. Add a trident or another spooky weapon for a look that's the complete opposite of your cheerful child. Fun! 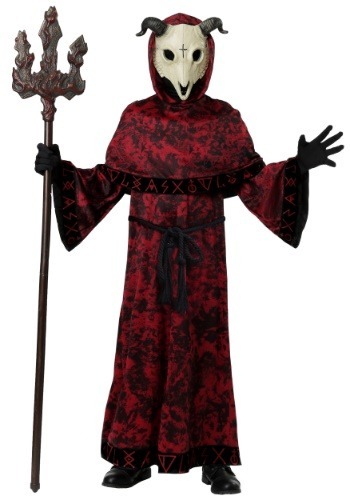 Knowing your kiddo, they'll find a way to turn this scary costume into some sort of ancient deity of generosity and good tidings, or something. Encourage them to have a little fun this Halloween and to enjoy a day of darkness; they shine bright the other 364 days a year. And being scary is what Halloween is all about!